Tom came to FBC Lindale in 2006. 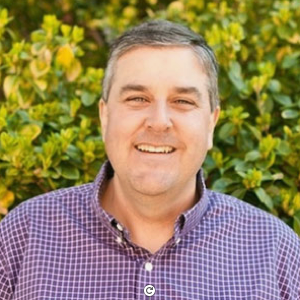 He previously served as the Senior Pastor of Riverside Baptist Fellowship in Florida, a position he held for 12 years. He is a graduate of the Moody Bible Institute (B.A. in Pastoral Ministries and New Testament Greek) and Dallas Theological Seminary (Th.M. in Bible Exposition). Tom and his wife Jennifer met at Moody Bible Institute. 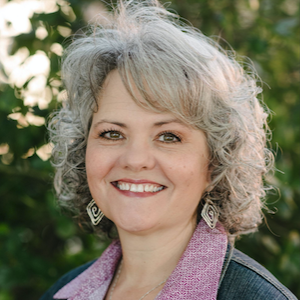 Jennifer shares Tom’s passion for the local church and the message of God’s grace, and is a godly mother to their three children: Dallas, Madison, and Jackson. Tom is quite the sports fan, particularly of the Dallas Cowboys. Tom has a strong passion for the local church and a desire to lead the church to be Word-centered in everything it does. He is committed to the expositional preaching and teaching of God’s Word, and he generally works through a book of the Bible in his preaching series. Chris was born and raised in Columbus, Ohio and became a Christian upon hearing the Gospel preached at a church camp in Kentucky when he was 18. Following his conversion, he felt called to ministry and moved to Louisville, Kentucky to study at Boyce College, where he received his Bachelor of Arts in Biblical and Theological Studies. While studying at Boyce, Chris met his wife, Stephanie, and they were married in 2006. They are now the blessed parents of three children: Emma, Ethan, and Eli. After graduating college, Chris began his Master of Divinity at The Southern Baptist Theological Seminary and completed his Master of Divinity at Detroit Baptist Theological Seminary in Allen Park, Michigan. Previously, Chris has served as Associate Pastor at Hazelwood Baptist Church in Louisville, Kentucky and as Pastoral Intern at Cornerstone Baptist Church in Roseville, Michigan with an emphasis in College Ministry. 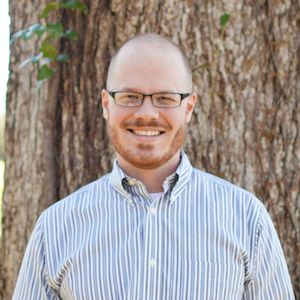 Chris joined the staff of FBC Lindale in January of 2016. He has a strong passion to preach and teach the Word of God and to train other leaders in the church in those areas. Chris loves spending time with his wife and children, watching Patriots football, watching movies, and reading theology. Andrew was born and raised in the upstate of South Carolina. He is a Graduate of the Fine Arts Center of Greenville County (Jazz Guitar) and has a music degree (Classical Guitar) from Anderson University as well as a Master of Divinity in Church Music (Composition) from New Orleans Baptist Theological Seminary. Andrew has served as a music minister since the age of 19. Andrew married Meghan in 2016, who teaches math and serves the church in various ways. 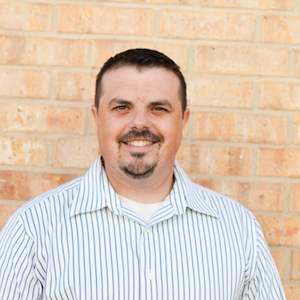 Andrew began work at FBC Lindale in October of 2009. He enjoys getting to work with a choir and band at FBC and takes great joy in working to unite a multi-generational congregation in worship. He is also an active member of his local music community, playing guitar, percussion, keyboard instruments, mandolin, and banjo in various settings. Andrew enjoys board games, word puzzles, mountain biking, backpacking, poetry, and golf. Before coming to FBC Lindale in 2008, Ryan served in several outdoor/camp related ministry positions in Oklahoma, Colorado, and Texas. 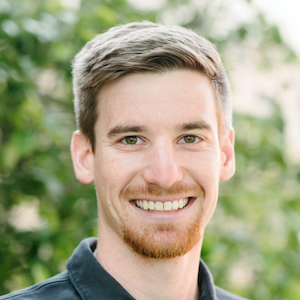 Ryan brings his experiences from these ministries and his love for outdoor activities to his ministry in the local church, for which he has long had a passion. He is thrilled to be serving in this capacity at FBC. Ryan holds a degree in secondary education from Oklahoma State University, specializing in History. He is currently pursuing a Masters of Divinity at Southwestern Baptist Theological Seminary. His wife Jennifer stays at home with their five children, Brady, Haley, Hannah, Abigail, and Kathryn. Together, Ryan and Jennifer serve the students of FBC Lindale, aiming to see young people come into a saving relationship with Jesus Christ and to help them grow in their knowledge and understanding of God and His Word. David grew up in a military family and has lived in many wonderful places, but the ten years he spent in Houston were the best. After living eight years in Kentucky, he is glad to be back in Texas, which he considers to be his home. 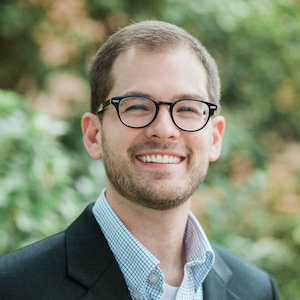 He holds a degree in Missions from Boyce College, and a Master of Divinity from The Southern Baptist Theological Seminary in Louisville, Kentucky. David married Hollie in 2009, and they are blessed to have two children: Henry and Charlotte. David began working at FBC Lindale in September of 2016. He has a passion to support the strength of worthy men and is glad to be able to further the ministry of the pastors of the church. Previously, David has served as a pastoral intern at Fellowship Church in Louisville, Kentucky and as a pastor’s assistant. Hollie and her family have been members of FBC since 2006. She feels strongly about the church’s role in equipping and supporting parents as they disciple their children. Hollie believes children are a gift from the Lord; but, parenting is hard work and they need to know they are not alone in this journey. Hollie has spent the last 30 years serving alongside her husband, Kevin, in various ministries. She served as Children’s Minister of FBC Levelland, before moving to Lindale. Upon arriving in Lindale she began working in the LISD school system. Hollie holds a BAAS degree. Hollie and Kevin met at Hardin Simmons University and have been married for 29 years. They have three children, two daughters-in-law and one grandchild. Nathan and Brooke Simmons with son Paxton, Micah and Mallory Simmons, and daughter Bethany Simmons. She feels blessed to be serving at FBC Lindale, alongside parents of these precious gifts from God. Hollie feels the Children’s Ministry plays a vital role in the church and must be in unity with the other ministries to bring lost souls to the saving knowledge of Jesus Christ that we might have a right relationship with our Heavenly Father. Erik became a member of FBC in 2015. Prior to his time at FBC he worked at a Christian summer camp in Texas and Colorado. He was born in Ohio, but spent the majority of his life in Carrollton, Texas. Erik graduated from Howard Payne University in 2014 with a bachelor’s degree in history and political science. He is currently working on his master’s in theology at Dallas Baptist University. He came to Lindale to work at Sky Ranch. While working there he got plugged in at FBC serving with the youth group. Through this he got to know the students and spent time investing in their lives through activities and intentional conversations. Erik grew up attending church, but did not grasp the reality of the gospel until the summer after his freshmen year of college. He is passionate about equipping students to own their faith and equip them as they prepare to leave for college. His hope is to help train and equip them alongside the students’ parents to live a life in service to God. Erik is committed to faithfully preaching the gospel to students. In Erik’s free time he loves to be outside. He enjoys hiking, rock climbing, playing almost any sport, hammocking, and even a casual walk outside. He also enjoys playing board games and spending time with people. He likes trying new things with friends and going on random adventures. Erik is excited to be the student ministry director at FBC Lindale. He hopes students will come to know Christ, live out the gospel, and make disciples.